(Based on lectures by Shaykh-ul-Islam, Dr, Muhammad Tahir­ul-Qadri). In this verse two personalities are mentioned but the Dhamir (pronoun) used is singular, signifying the reality that even though the personalities are different but in terms of authoritativeness are one. The Prophet (SAW) is being commanded to call the people towards him and give them the message of Allah’s (SWT) forgiveness and mercy. 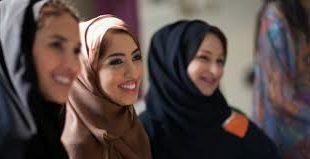 Through this link the forgiveness of Allah (SWT) is being showered upon those who accept and it also indicates that to be attached to Allah (SWT) one must access this through the path of the Prophet (SAW). The Prophet Muhammad (SAW) said, “Indeed I am the sole distributor and the grant is from Allah.”‘ This hadith expounds the concept of the dual attachments, to Allah (SWT) and to the Prophet (SAW). In the case of attachment to Allah (SWT), you are the servant of Allah (SWT) and in the case of the attachment to the Prophet (SAW) you should be obedient. 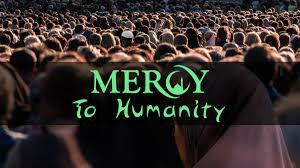 Humanity receives this Mercy through the Prophet (SAW) who is distributing it on the command of Allah (SWT). This Mercy is open to Muslims and non-Muslims alike as Allah (SWT) is the Creator of all, irrespective of whether anyone believes in Him or not. The whole article can be summarised in the following saying of Ibn Taimiyyah: (SWT) has made the Prophet (SAW) His Own representative in His directives and injunctions. So in view of this, it is not legitimate to differentiate between Allah (SWT) and His Messenger (SAW) in these matters” . Concluding, it is clear that the Prophet Muhammad (SAW) has an esteemed status in the sight of Allah (SWT), as is evident through what has been cited, but more than this, if an individual wishes to attach themselves to Allah (SWT) and gain His Mercy, this journey cannot be void of obedience to and inter mediation of the Beloved Prophet Muhammad (SAW). Previous Madrasa Curriculumn-Dars-e-Nizami Indian madrasas of course, Drs-e-Nizami: Controversy rich content and beautiful spiritual why free Islamic teachings?